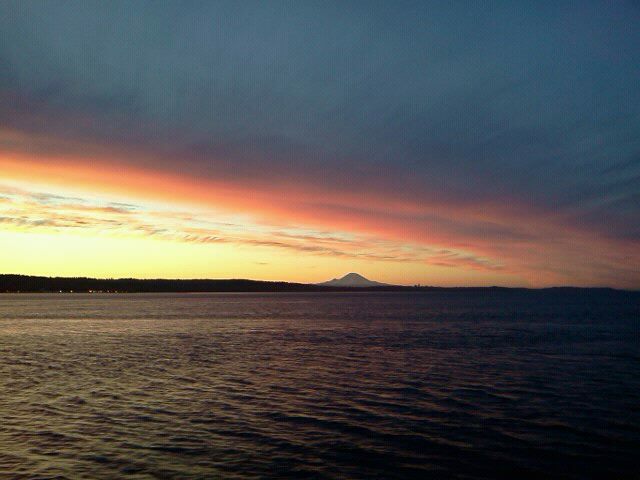 Snapped this photo from the back deck of the Puyallup, while crossing the Sound on Satuday morning. From the back of the boat one could see Seattle and Mount Rainier to the south, as well as both the Cascade and Olympic mountain ranges to the east and west. A very surreal sunrise.